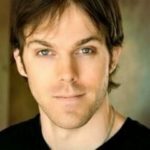 Trevor Algatt (SAG-AFTRA) facilitates the VO2GoGo Hollywood workout, as well as one of the live online monthly workouts. As a writer, musician, podcaster, and actor, Trevor’s production of animation VO demos place him in a special category of VO directors and producers. His attention to detail, his pitch-perfect writing and his amazing ear give his clients demos of an extraordinary nature. His experience teaching all manner of MacOS applications at Apple and at other locations, along with his acting and VO experience, suits him perfectly as a VO2GoGo instructor. For 9 years, Trevor was also creator, producer, and co-host of Inside Acting, a weekly podcast featuring in-depth, unbiased interviews with industry professionals of all callings. You can reach Trevor at trevor@vo2gogo.com.